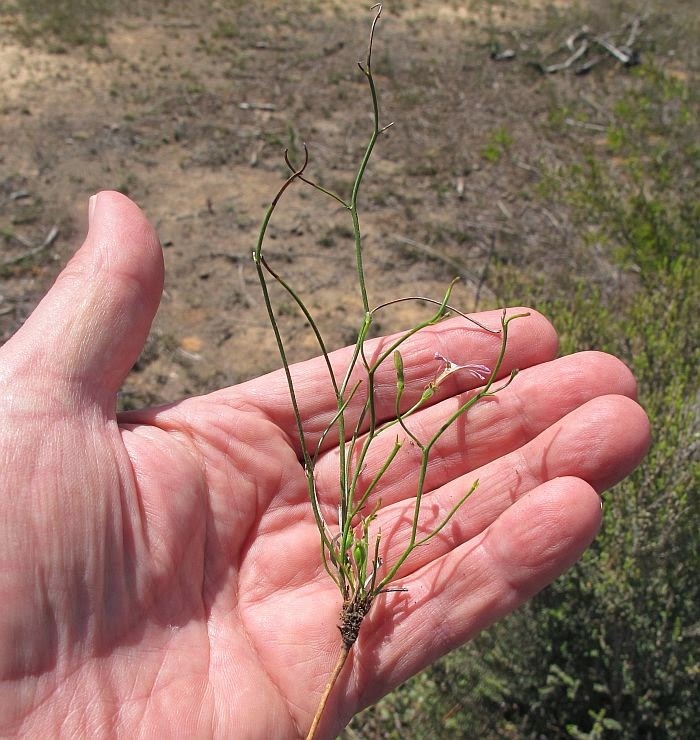 This WA endemic plant is a poorly known inland species from the mallee region. It has a Priority One, Conservation Code rating, meaning it is known from generally less than 5 unprotected populations (not in a Reserve) and may be endangered from various threats. 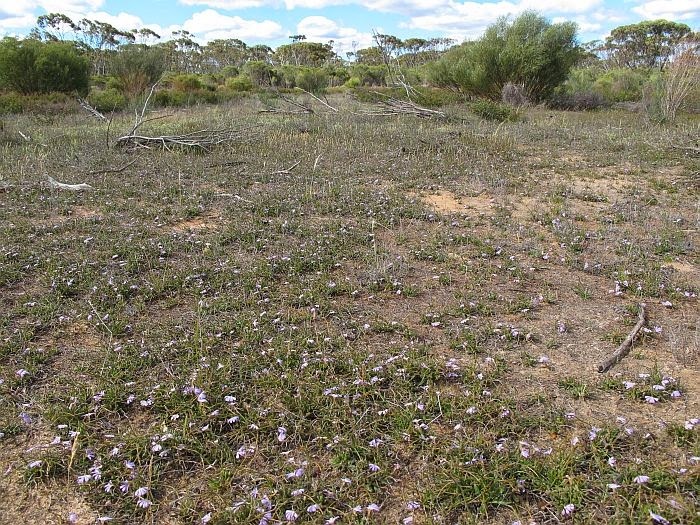 Currently it is recorded from the Goomalling region 120 km (75 miles) NE of Perth to the Norseman district 200 km (125 miles) North of Esperance. The photographs above were from a new colony 130 km (80 miles) NW of Esperance. 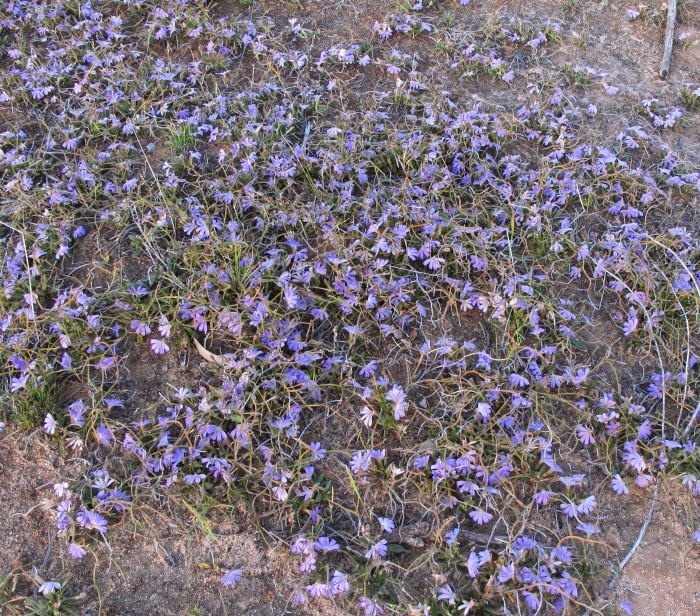 Scaevola tortuosa is a rhizomatous perennial, thereby producing many offshoot plants to create a colourful mat of dark green vegetation that is peppered with bright blue-purple/pink flowers. 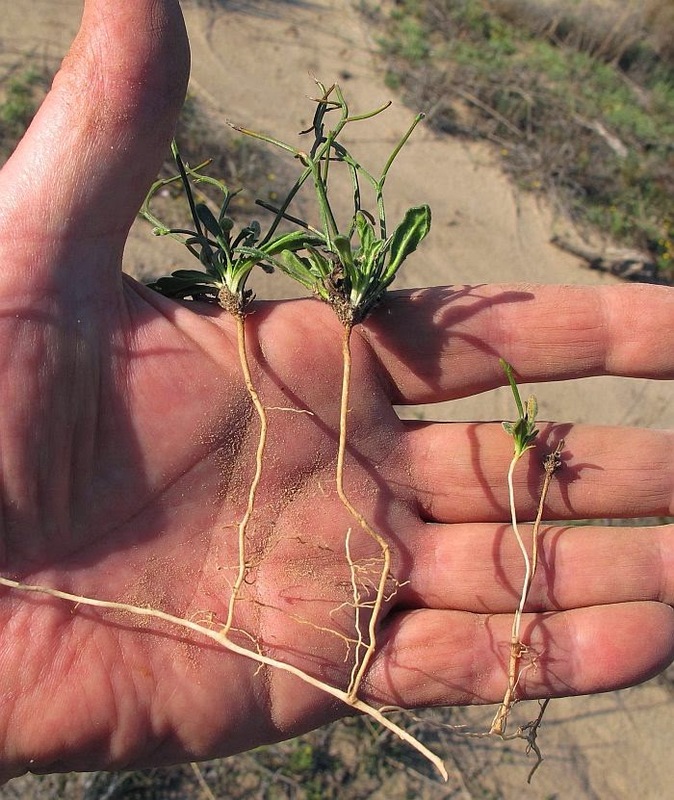 The soil is a coarse sand/clay and is sited in a drainage hollow that passes through a small clearing, which borders mallee woodland and a spaced (tall) Melaleuca habitat that is downstream from a small saltlake. 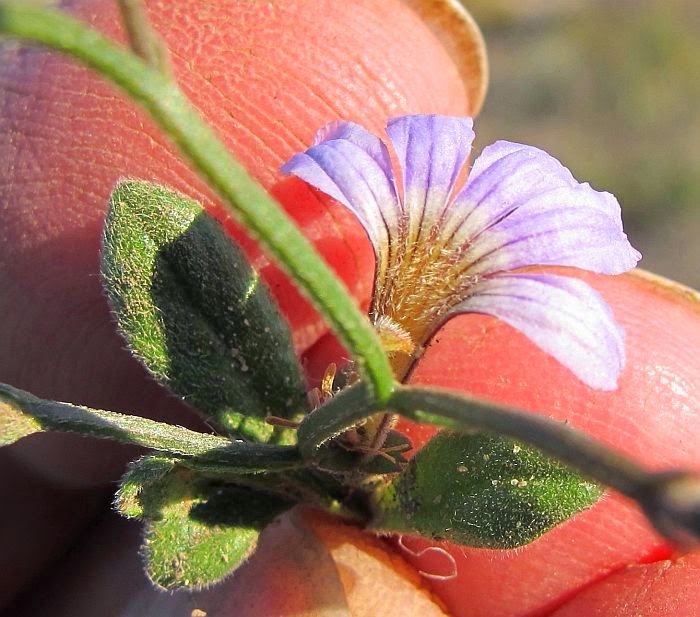 The Tortuous-stem Scaevola is named after its twisted flowering stem, of which those above without flowers and encountered in mid-September, were from a previous flowering season. 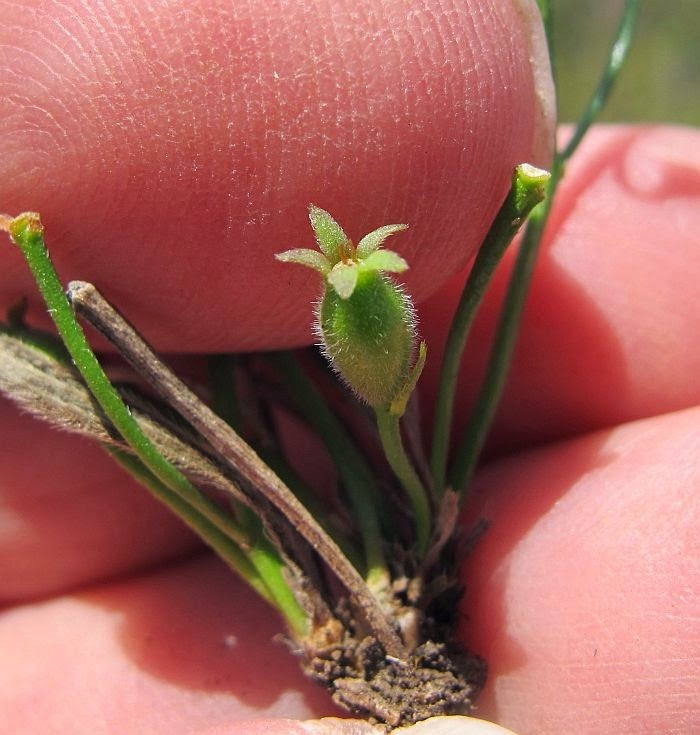 The flowering stage above (blooming at ground level), were from an undeveloped inflorescence, which only started to grow around 4 weeks later when the new flowering stems (complete with buds) were produced. 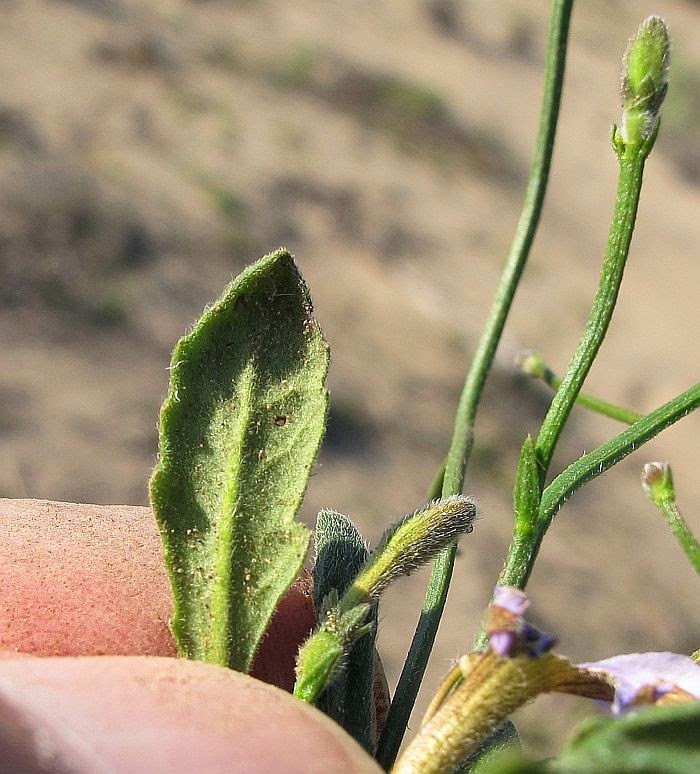 However these mostly did not develop and died off during a week of warmer than usual weather, although a few survived in the shade of taller vegetation. 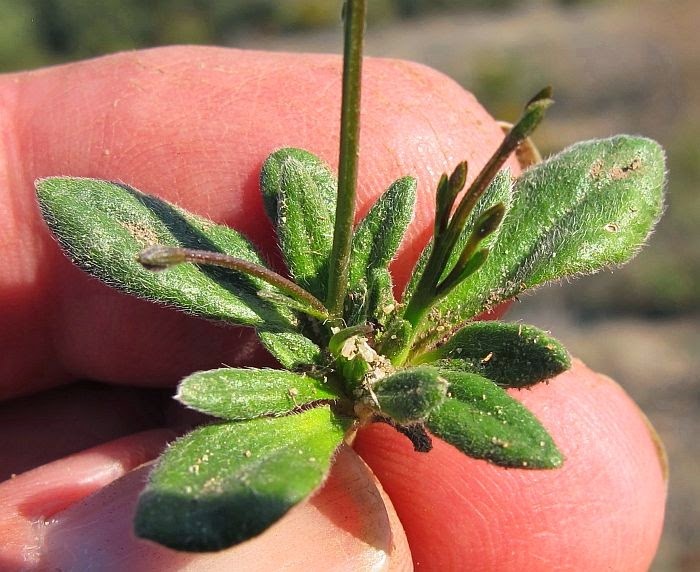 Upon reflection, it is quite possible that the flowering stems are only produced when conditions are mild in their normally dry environment, with most resources being placed on producing the flowers at ground level. 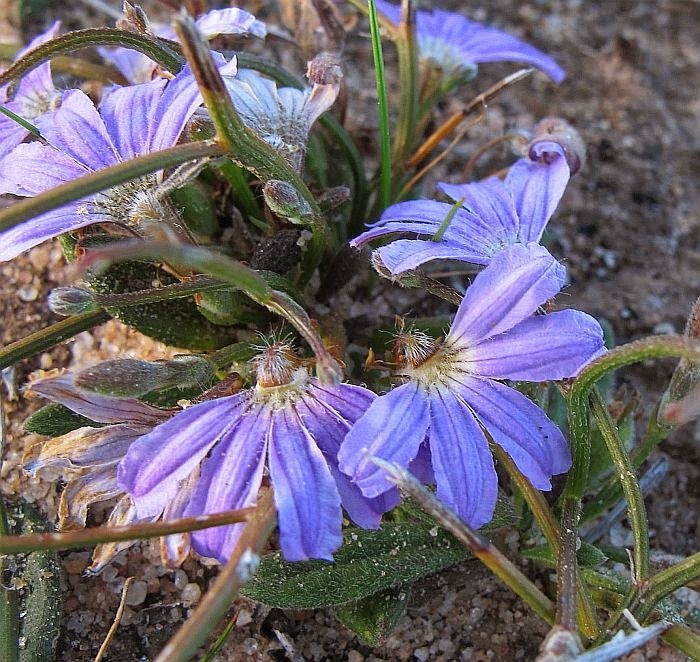 Alternatively, this species may begin to flower very much earlier than the recorded month of October. 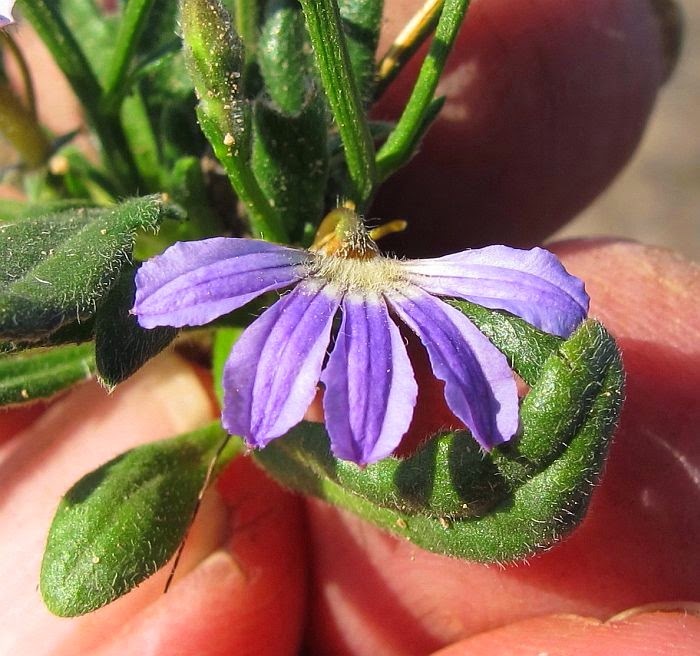 Certainly from my observations there would definitely be flowers in August, which had then finished by early October, although if local weather conditions had been more favourable, they would have continued a little longer. 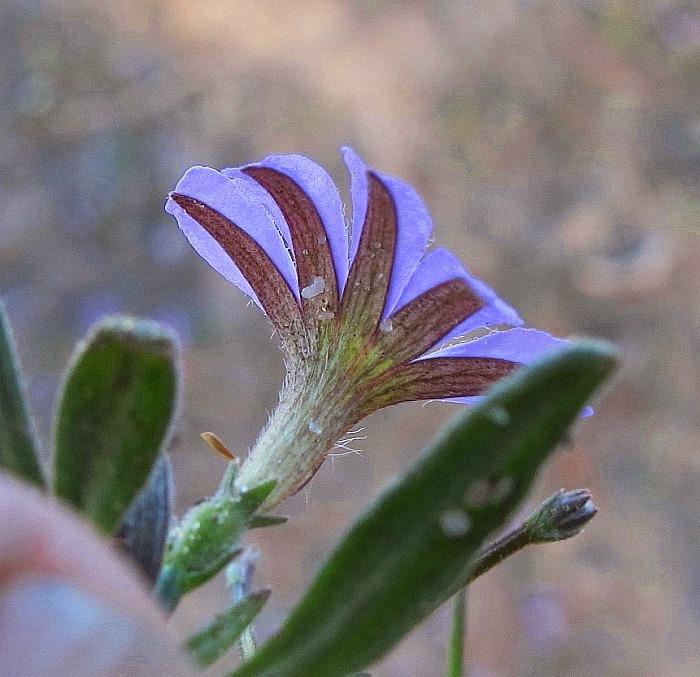 Scaevola is part of the colourful and often ornamental Goodeniaceae family.